It’s our third anniversary here at dekanta, and each year we try to deliver an exciting week full of events, sales, and great content to all our loyal fans. This year our anniversary will be extra special. Running from today, on June 1st until June 11th, we will be bringing you new content, flash sales, and fun games each day. On the 11th we will unveil the most the exciting part of our anniversary in the form of an exclusive Japanese whisky, bottled specifically for dekanta. We’re inviting everyone to a special online launch event where we’ll lift the veil on this unique bottle. Stay tuned and you could be among the first to experience the inaugural dekanta private label Japanese whisky. While you wait we’re going to keep you entertained. 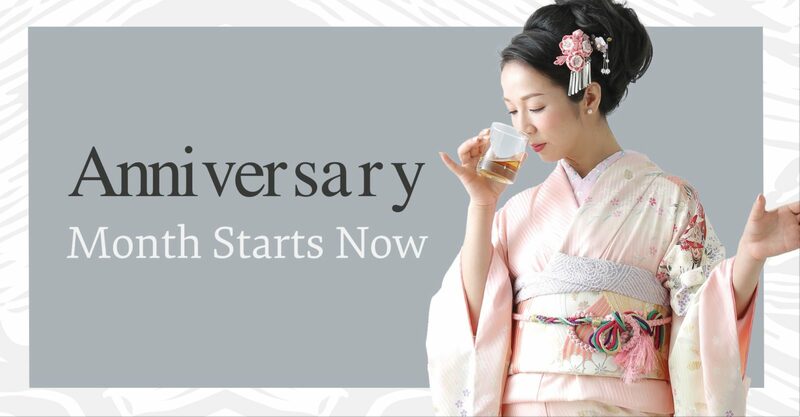 In keeping with the recent, heart-breaking news that Suntory’s iconic Hibiki 17-Year-Old expression is to be discontinued, we will be exploring the theme of old traditions and new beginnings. While many great Japanese whiskies have been discontinued in recent years, many new ones have launched. In much the same way, many great Japanese distilleries have shut down in the past few decades. In recent years, however, many amazing new producers have entered the Japanese whisky scene dynamically.